People, it’s finally happening. My herbal workshops are starting this July! I’ve been working and preparing to make them as good as they can be! So join me, won’t you, in the journey to good health! Learn what you can do for your family to keep everyone healthy and feeling good. You will learn, you will eat and drink, you will make things, you will have fun! In this workshop, learn what common ailments can be treated using common kitchen spices, wild plants you can find in your yard, and vegetables from your CSA box or farmer’s market! Learn what it is to have food be your medicine, and learn about both treatments and prevention. We’ll then cook a meal together using Radical Root farm-fresh ingredients, putting together what we learned! Learn the amazing healing benefits to fermenting vegetables and other foods. Learn about the whys and hows of incorporating herbs, and make your own kim chi or saurkraut to take home with you! We’ll be using Radical Root farm-fresh produce to make your own personal healing concoction to take home. Please bring a mason jar to class. Learn to make delicious, healing, fermented drinks. Learn how to incorporate herbs. We will learn and make and taste healing brews of all kinds, such as Ginger beer, mead, medicinal wines, kombucha and more! Bring two mason jars to take home two starters to get you going, you herbal brewmaster, you! Make this winter a healthy one for you and your family. 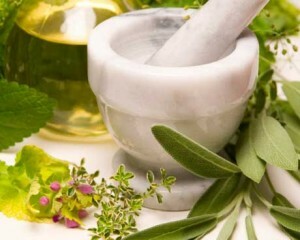 Learn treatments and prevention with food, common culinary spices and wild plants. Learn about making syrups and teas to keep everyone healthy, and learn to make ‘fire cider’, an herbalist favorite, to take home with you! Please indicate what classes you are signing up for! Questions? Email me, Alison, at: radicalrootfarm@gmail.com .